Last time, I talked about what makes a successful children’s publishing project, and I mentioned that everyone’s idea of success is not the same. There are numerous measures of success … and I’ve heard almost all of them over the years. However, generally, they fall into two camps: creative success and financial success. Creative success involves the release of a beautiful book. Great story, fabulous illustrations, good book construction … a work that is all around pleasing aesthetically. I understand that this may sound like a subjective measure, but when you’re in the industry, you can look at a book and pretty quickly tell if it is well done. Big publishing houses routinely create beautiful children’s books. 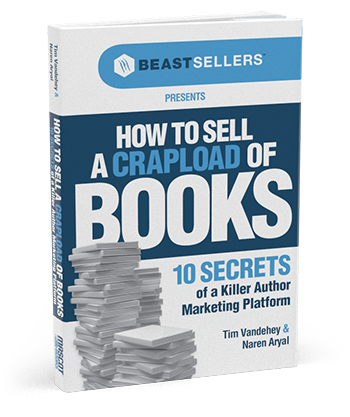 Self-publishers, on the other hand, have historically been hit-and-miss in this category, simply because most self-publishers lack experience in releasing books. Some authors don’t bother to thoroughly review and edit their manuscripts, some choose the wrong illustrator for their project, and others make mistakes related to book construction. These are some of the pitfalls to be mindful of when you get serious about self-publishing your book. If you’re not sure about some of these things, be sure to get input from someone with publishing experience. As for financial success, this is the tricky part. There’s not always a correlation between artistic success and financial success, and the reasons are complex. First, it’s important to acknowledge that not every self-publisher is motivated by financial success. We’ve worked with authors that wanted to simply raise awareness for a cause, which is absolutely fine. For those interested in maximizing profits, many factors come into play, like marketing, promotion, author support, reviews, distribution, and ultimately – consumer acceptance. Until recently, mega New York publishing houses have had the upper hand when it comes to releasing financially successful titles, primarily because of their marketing budgets and established distribution channels. However, recently, with the gaining prominence of marketing via social media, the emergence of e-books, and consumers’ continued adoration of all things “indie,” the opportunity to have financial success with a self-published children’s book has never been better. Also, with the emergence of services like the Mascot Books Author Program, authors have a new option – a hybrid approach somewhere between traditional publishing and truly independent self-publishing – that was not available in the past.